Microfiber is not only attractive and soft to the touch but also durable, so it will stay beautiful for years. Even in households with children and pets, microfiber-covered furniture generally stands up to abuse because of its superior stain resistance. 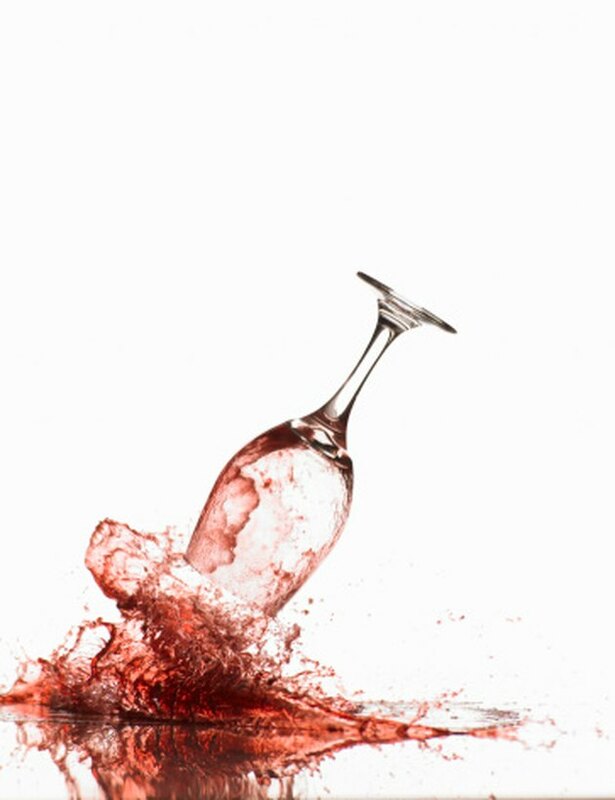 Even though microfiber resists stains well, promptly tend to any on the fabric, especially if they're tough-to-remove ones, like red wine stains. With quick action and smart cleaning techniques, you can easily remove red wine from microfiber and restore the beauty of the fabric. A red wine spill on microfiber will clean up easily. Blot the stain as soon as possible. Use a dry washcloth to blot up as much of the wine from the microfiber as you can. Dab the stain with the washcloth, continually shifting it to a clean area, until no more wine comes up. Saturate the washcloth with water and apply a small amount of the dish washing liquid to it. Work the washcloth to make sudsy bubbles. Dab at the stained fabric gently with the soapy washcloth until you have removed the stain. Rinse the soap from the washcloth. Blot the area on the fabric with the washcloth to remove the soap. Continue rinsing the washcloth and blotting the fabric to remove as much soap residue as possible. Dry the microfiber with a clean, dry towel to remove as much moisture as possible. Allow the cleaned area to dry completely. Brush the area that was stained with a microfiber brush to restore the nap of the fabric.